Construction sector in India is booming with real estate and infrastructure development. Quality plays a major role in all types of construction. A civil engineer or an architect would be aware of various construction processes. Knowledge of quality aspects would be a great help in technical planning and execution. On the other hand, a non-technical person would also benefit from quality knowledge. He would appreciate the management aspects of quality planning. Similarly, safety plays an important role in ensuring physical and mental health and well-being of all concerned on site like labour, site engineers and supervisors. Safety awareness and appropriate implementation is an equally important part of legal and administrative processes of any organisation involved in construction. 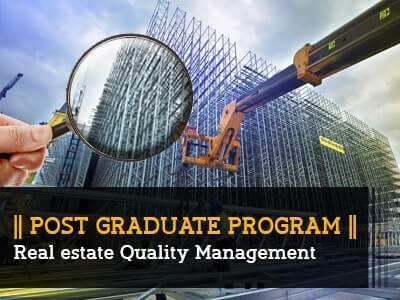 A 6 month professional course that introduces technical as well as management aspects of quality and safety within the framework of real estate construction. Study sessions have well defined content, proper balance of theory and practical aspects with suitable and appropriate examples from real life.